Rather than provide our clients with static, hardwired reports, or data in a spreadsheet, The Claim Lab has invested in tools to deliver dynamic dashboards. These enable users to quickly move through analytic output and drill down to record level detail when required. The data is pre-formatted in a data-cube, with pre-configured searches and drill-downs. The user can then move around the cube with a degree of self-service flexibility. The power of this function is limited to the scope of the data provided. However, this flexibility and the speedy turnaround of enhancements from The Claim Lab will result in more rapid iterations of dashboard design and ultimately more sophisticated management information. 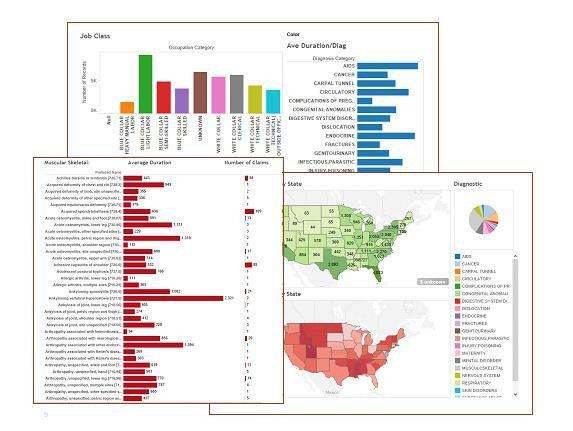 Many organizations can gain significant benefit from this approach to building dashboards, as to obtain the same service from internal resources can be time consuming.